Here are the 5km split-times from the legendary bicyclists Ercole Baldini, Roger Riviere, Ferdinand Bracke, Ole Ritter and Eddy Merckx. 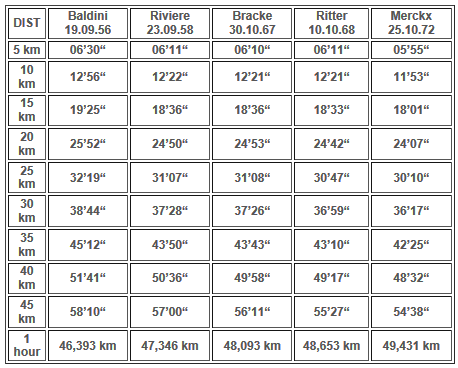 Riviere, Bracke and Ritter had nearly the same speed during the first 15 km, then Ritter increased his speed. 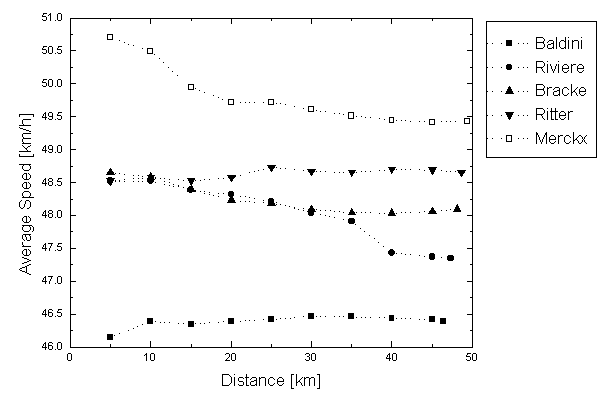 Note that Roger Riviere had a defect between 35 and 40 km. 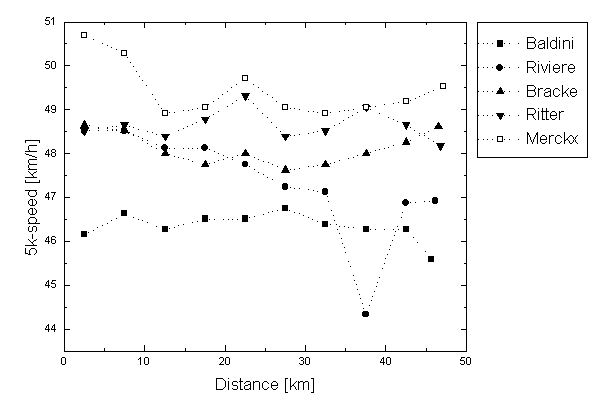 He still managed to reach 47,346 km but would have reached probably a distance close to 48 km. Jaques Anquetil’s record of 47,493 km from the 27.09.1962 is not shown because he did not appear at the drug test.